she finds herself just as busy with the many ministries at St. Viator Parish in Chicago. Jackie will celebrate 30 years as a parishioner this year and its outreach opportunities fill her life. 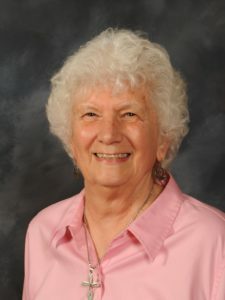 Consider her many roles: She leads the ministers of care in visiting the sick, she is a Eucharistic minister at daily Mass, she assists parishioners with developmental disabilities become more active at church through the SPRED Program, she volunteers at the food pantry — and she helps to count the collection every week. In 2016, Jackie formalized her partnership with the Viatorians, when she made her first commitment as a Viatorian associate. 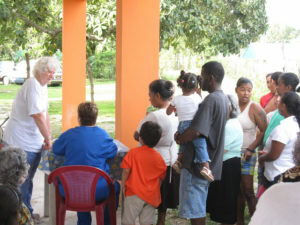 One ministry continues to drive Jackie: participating in a medical mission in Belize. As a physical therapist, she is a valued member of a group that travels every year to Corozal Town, where the Viatorians first established a mission, back in 1998. Jackie has participated nearly every year since her first mission in 2003. She is part of a group that includes doctors, nurses, paramedics and nurse practitioners. They typically see 1,000 people in remote villages, screening for diabetes, high blood pressure and asthma. 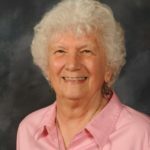 Judy Glancy, a registered nurse and mother of Bishop Christopher Glancy, CSV, and one of two Viatorians who first established the mission in Belize, started the medical mission. Judy no longer makes the trip, but the group carries on her mission.